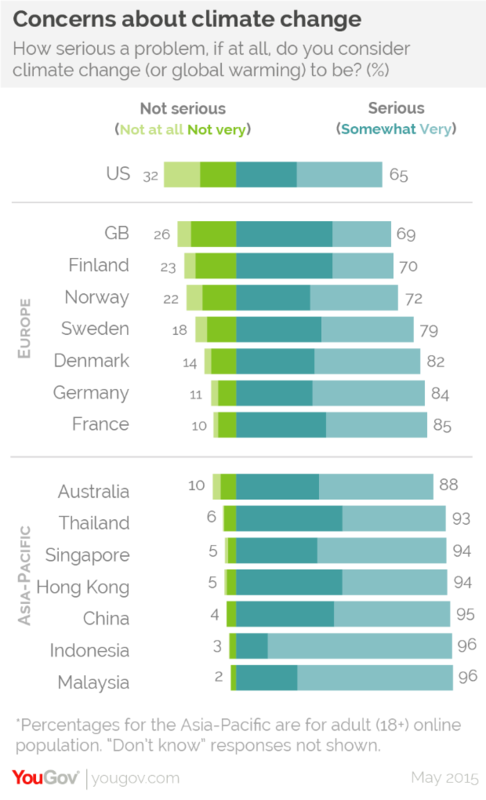 A YouGov survey canvassed 15 countries across four continents about their attitudes regarding climate change. Both the US and UK were found to care the least; only 44% of people in the US and 41% in the UK think that global emissions are worth caring about. 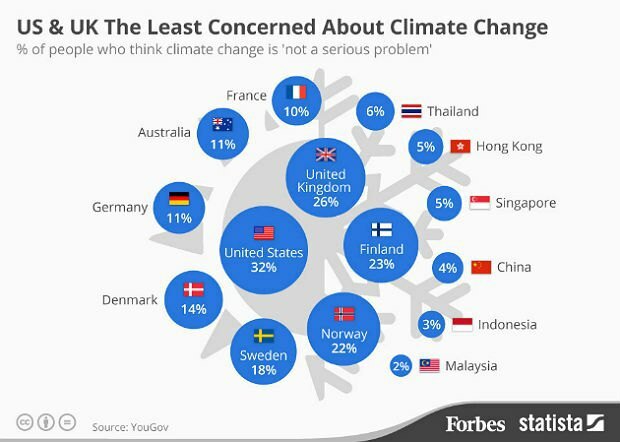 In addition, 32% of Americans stated that climate change “is not a serious problem,” the highest of all countries polled, despite various scientific data stating otherwise. The UK followed suit at 26%. The countries surveyed are due to meet in Paris to broker an agreement on curbing greenhouse gas emissions, the largest of its kind. Perhaps by then, they’ll have changed their minds.